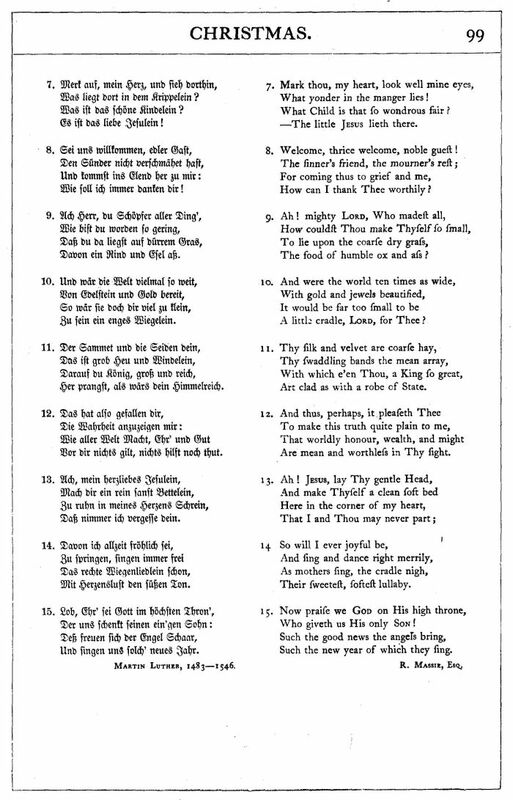 Source: J. H. Hopkins, ed., Great Hymns of the Church Compiled by the Late Right Reverend John Freeman Young (New York: James Pott & Company, 1887), #65, pp. 98-9. -- The little Jesus lieth there. 8. Welcome, thrice welcome, noble guest! 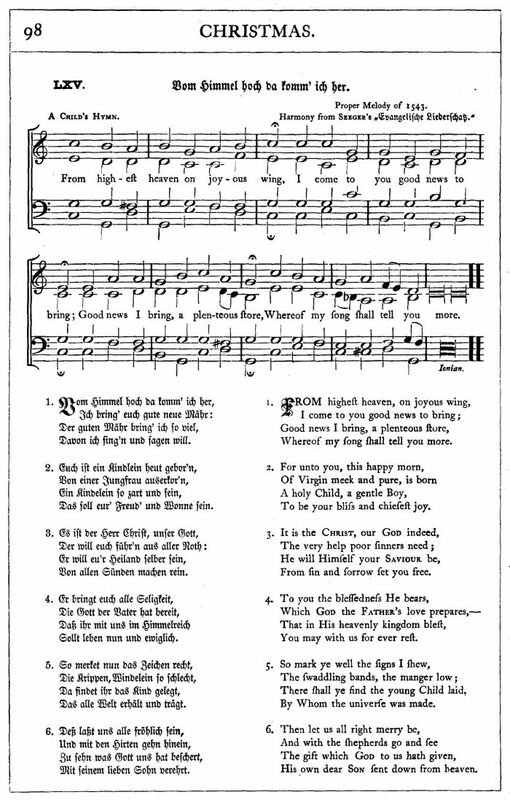 Sheet Music "A Child's Hymn" from J. H. Hopkins, ed., Great Hymns of the Church Compiled by the Late Right Reverend John Freeman Young (New York: James Pott & Company, 1887), #65, pp. 98-9. Harmony from Seeger's 'Evangelische Lieberschaß.'"